Over the weekend, I dove into the internet looking for 1800s era knitting manuals and was honestly surprised at how many are available for free and for purchase on various websites. I was particularly impressed by the Richard Rutt Collection at the University of Southampton (England). 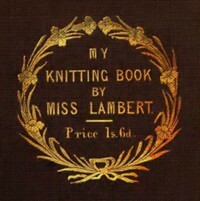 Over sixty knitting books from the 1800s from the Collection have been scanned and made available on the internet for free. 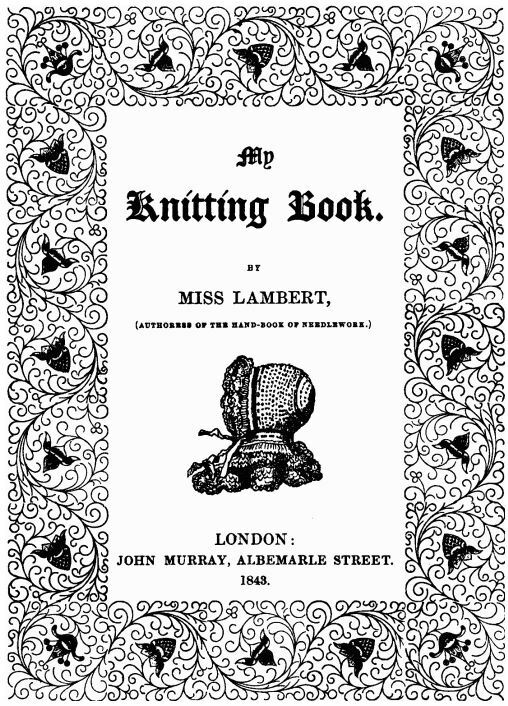 After much debate, I have decided that I will start my knitting and history adventure with My Knitting Book by Miss Lambert, published in London by John Murray, Albemarle Street, 1843. The book can be found in a number of electronic formats on the Project Gutenberg website. Next > Up for the challenge!